After a very full and eventful week in the world of wrestling both globally (Royal Rumble Weekend) and locally (PWR Live: New Year's Wrestle-ution), a lot of interesting things truly caught our attention—wrestlers' gear and outfits, in particular. While streamlining this article, I've gone ahead and included everything that got my eye for the past week so this includes everything from NXT TakeOver: Phoenix up to NXT UK. Everybody, get ready for the Royal Rumble week edition of #SGQ! 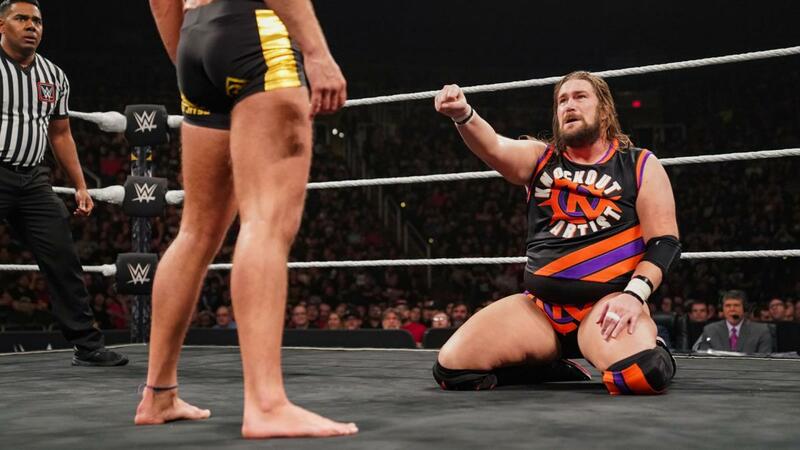 While Kassius Ohno normally does the city referencing with his gear, it's interesting that he used a classic style to emulate the Phoenix Suns from their glory days with Sir Charles Barkley. Not only that, but it was a good choice to wear a dark color since lighter colors don't really flatter Ohno's figure. Johnny Gargano's inner nerd used a different kind of reference to the city they were competing in. TakeOver: Phoenix was held in, well, Phoenix, therefore Johnny used X-Men's Phoenix as his inspiration for his gear. Not only that, he used the Dark Phoenix variant which used red and yellow. Sure, you may think this is a coincidence, but if you look at the font on his rear, you'll notice an uncanny (pun intended) resemblance to the early 90's X-Men cartoon font. Is this a subtle nod to him being consumed by his inner darkness? Maybe yes, maybe no, but this is 100% definitely where he got his gear. Ricochet, on the other hand, chose to subtly copy another Marvel character in the form of Spider-Man. The catch? It's the Miles Morales version of Spider-Man. You can easily spot that from his entrance jacket and the colors used, however, it somehow looked like a version of G.I. Joe's Cobra logo during the match proper. 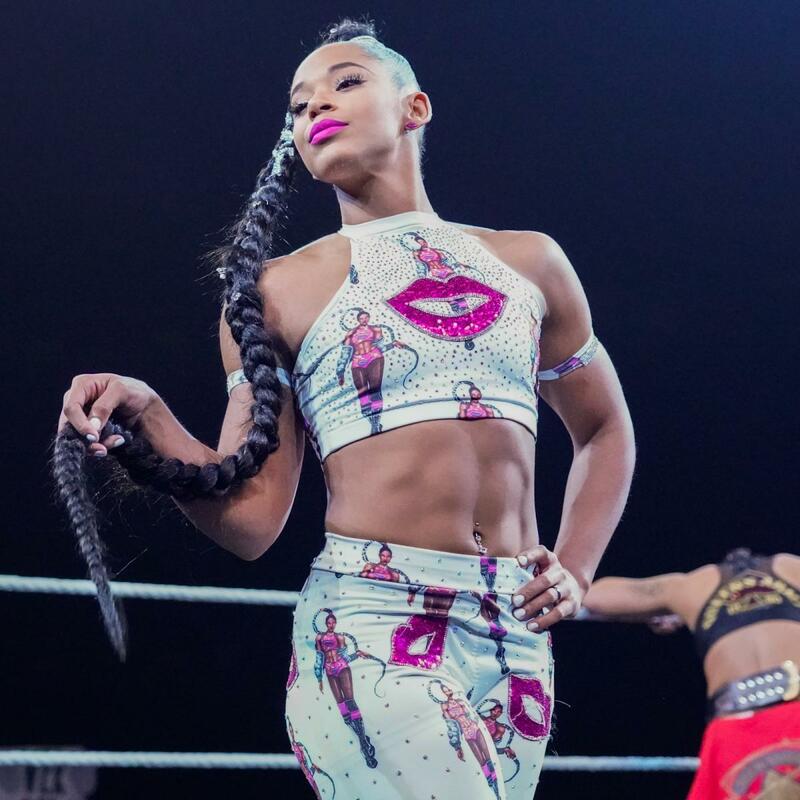 The EST of NXT has stated on Twitter that she was the one who chose and designed her gear for TakeOver: Phoenix. It was very hip and cute. Kind of like those cellphone wallpapers you use that are tiled and have a picture of your face, only in this case, she had an image of herself tiled on the white tights. PWR Live: New Year's Wrestle-ution "Bagong Gear at Bagong Merch"
If you haven't bought yet, you can grab the new Naughty Boys "Nice" shirt. If there was a perfect time for a one-word review, then this would be it. Of course, the word I'll use is "Nice!". They've got it in different colors so you don't have an excuse to not get one. I got mine in green. Excuse the selfie of course. 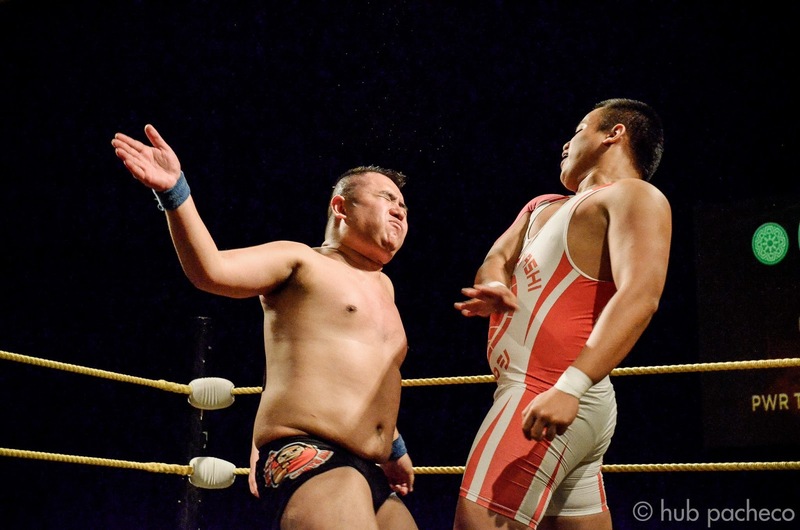 Ralph Imabayashi in a wrestling singlet feels weird AF. I don't know, but it doesn't look very flattering. I like the design and the colors, and if I had to pick between Ralph's and Ken Warren's, I'd probably pick Ralph's. Of course, that still doesn't make it great. Also, this makes him look less threatening. I'm a fan of the color green but damn, son, did AJ really have to channel his inner X-Pac with those neon green tights? I'm not yet sure if this was a tribute or just a coincidence, but Sean Waltman would be proud. I could already hear his theme song ringing in my head when I saw him for the match. Did anybody else find the Thanos connection with The Bar's attire? Sure, it wasn't subtle with the way the Infinity Gauntlet was on the jacket, but the purple tights were kind of a cool nod to the purple-skinned, glove-wearing villain. Seeing Double J in his guitar-inspired attire brings back weird chills in me. For the record, I've always hated this attire even during his heyday, but it is quite original. He even brought the hat with him, although it was weird that he chose to partner this with his "Slapnuts" version glasses (I miss the light-up glasses that matched the attire). Nostalgia act indeed, one that got a good pop from me. 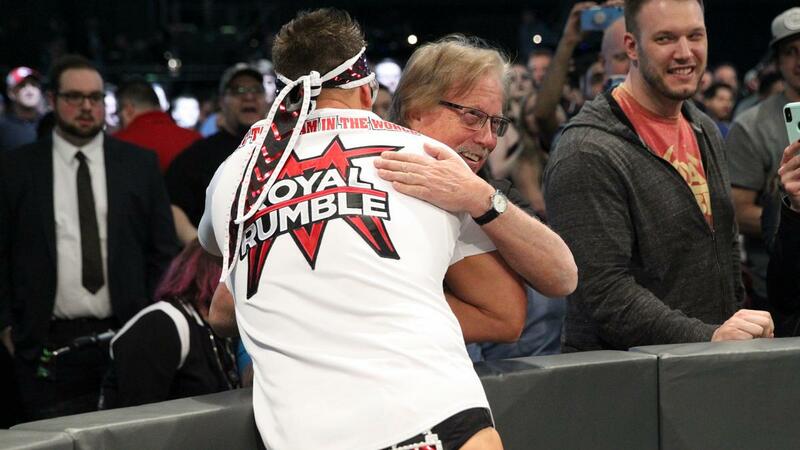 The Awesome One, The Miz, skipped his usual ring gear and wore a matching baseball shirt with the words "Miz & Mac" on his chest. Maybe it's just me, and I know Miz already has a weird choice in wardrobe, but he looked like a total doofus (Not that he doesn't choose to be). 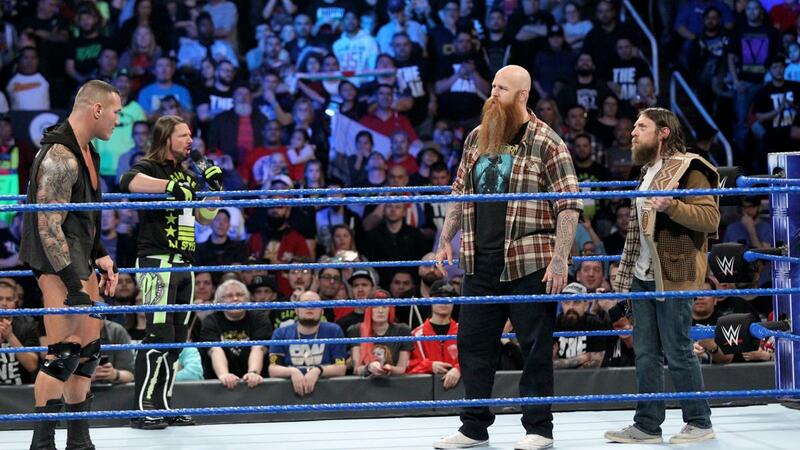 We've gone on ahead and written about Daniel Bryan's new WWE Championship, but has anybody noticed his and Erick Rowan's complementary duds? I'm a grunge person and these plaid clothes make me feel so 90's and so rad. Yes, i just said "rad" like the old 90's soul that I am. 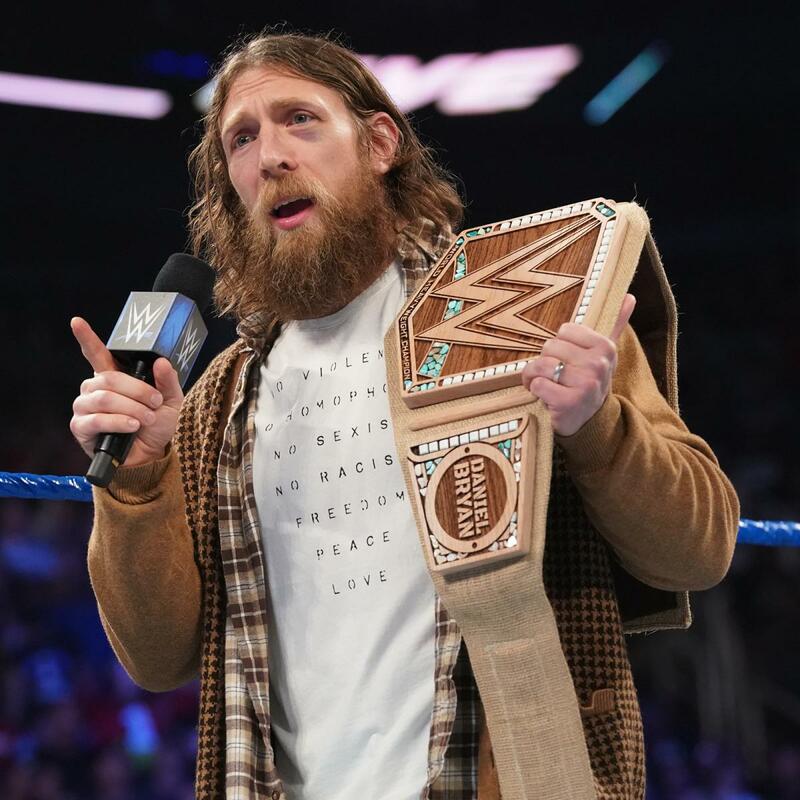 Also worth mentioning is Daniel Bryan's shirt under the plaid top, which promotes a positive message. Again, do tell me why he's the heel here? These "Let's Play" and "Let's Fight" shirts are starting to grow on me. I like that it's part of Marina Shafir's and Jessamyn Duke's gimmicks. This also fits with how they seem to be packaged in NXT, as Shayna Baszler's bodyguards. Now, the only thing left is for these two girls to improve and become more interesting to watch. Can you dig it, sucka? The Street Profits channeled their inner Harlem Heat with those white and red threads, with the ring which connects the upper part to the lower part. Tell me you didn't notice that? I like this look. It's a good throwback and reference. Were there any eye-popping attires that I missed? What did you think of the new gear and merch from last week? Is there anybody you wish to see in a future edition of #SGQ? Hit us up in the comments section below.